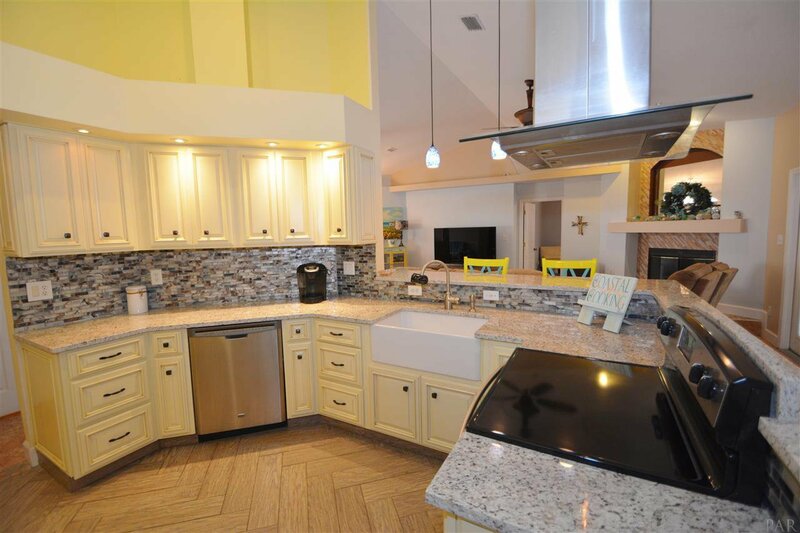 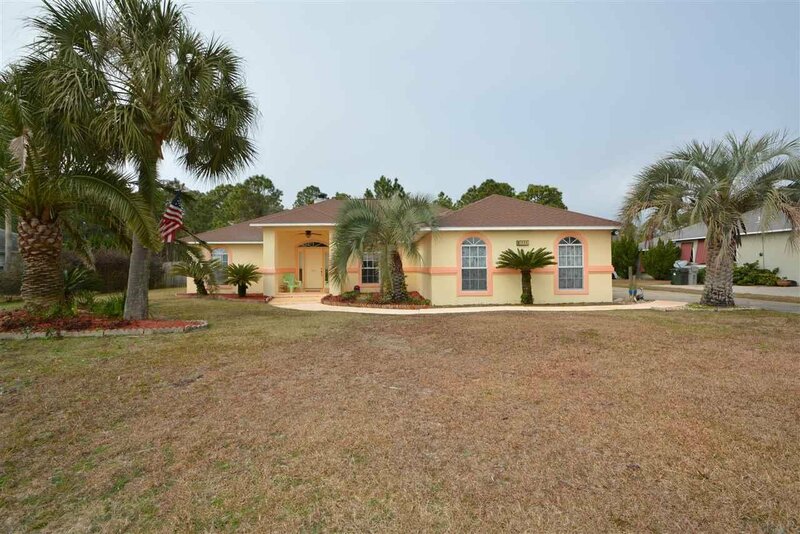 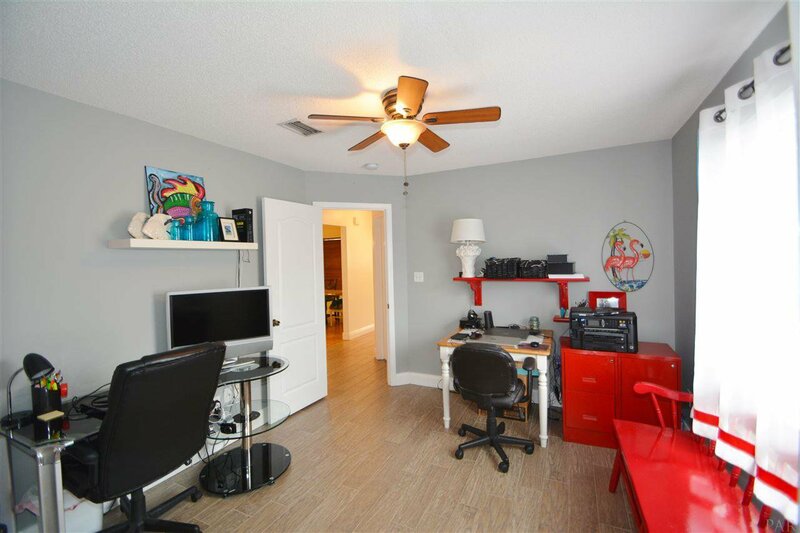 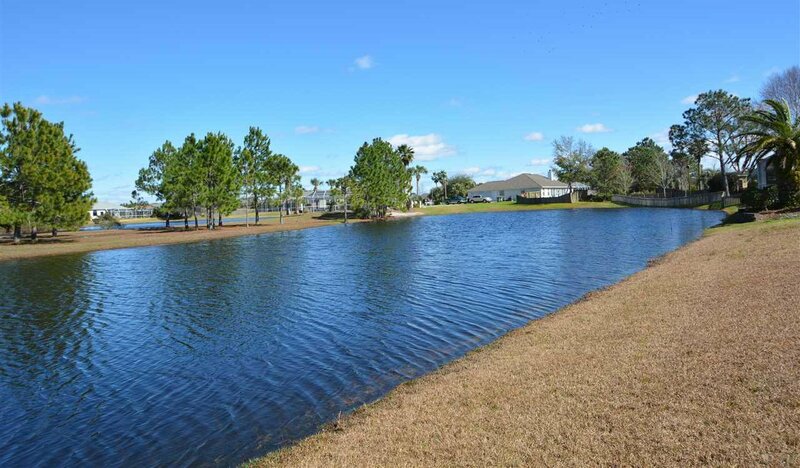 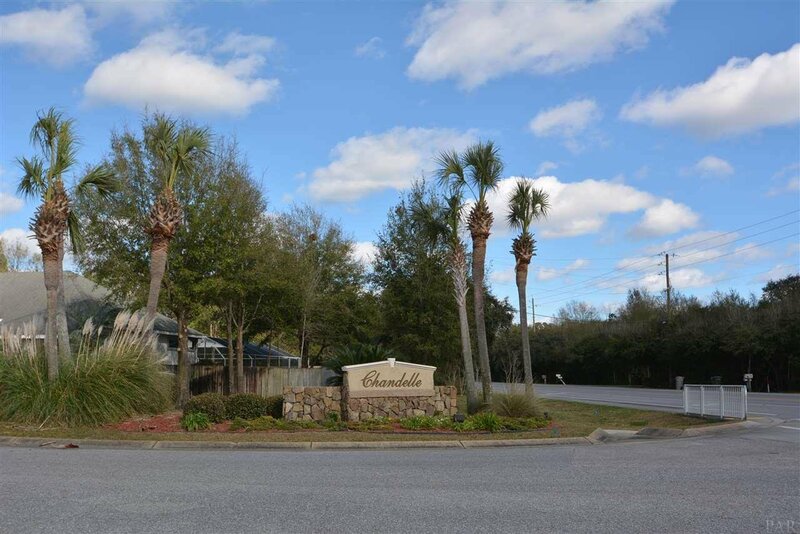 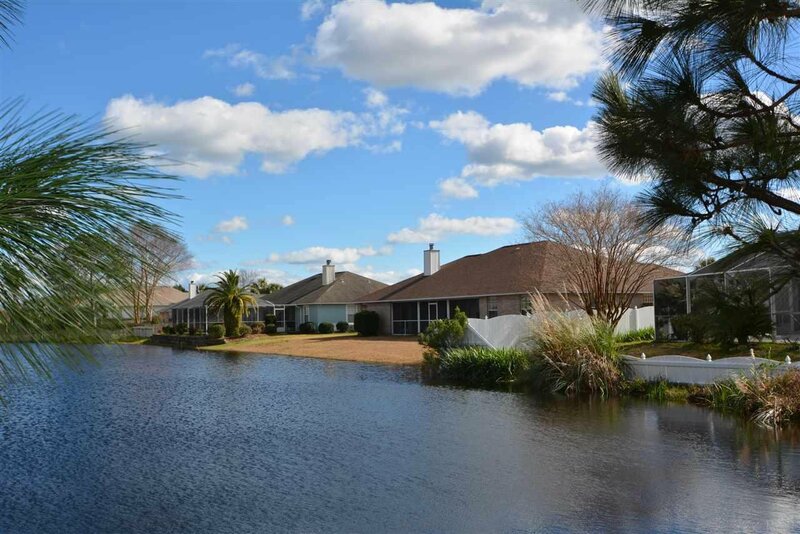 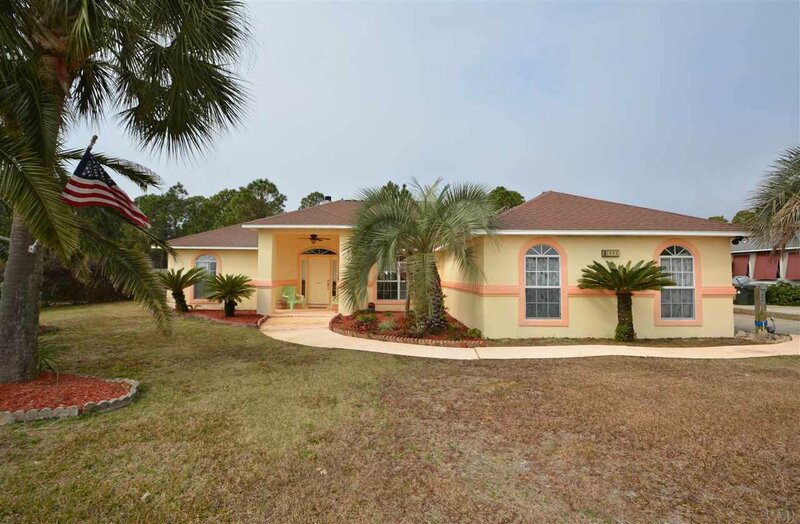 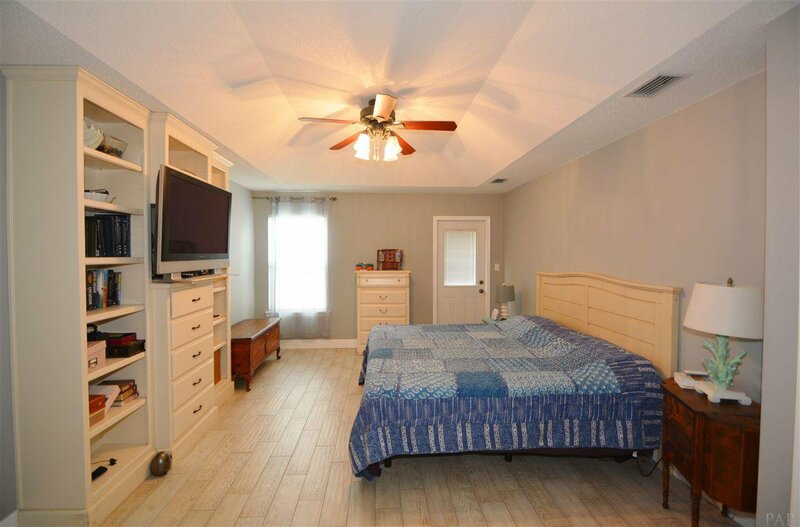 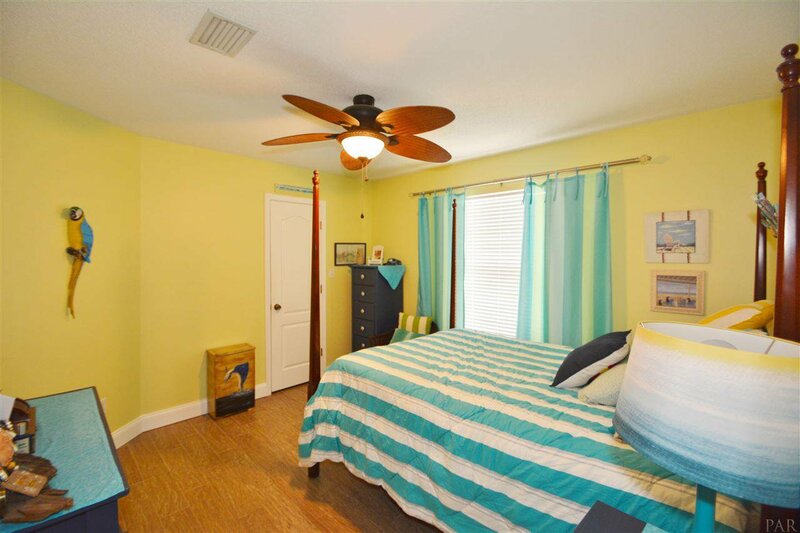 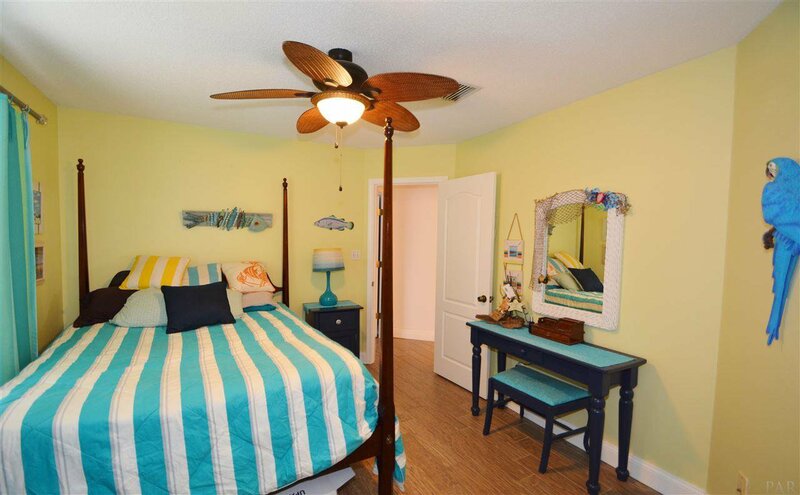 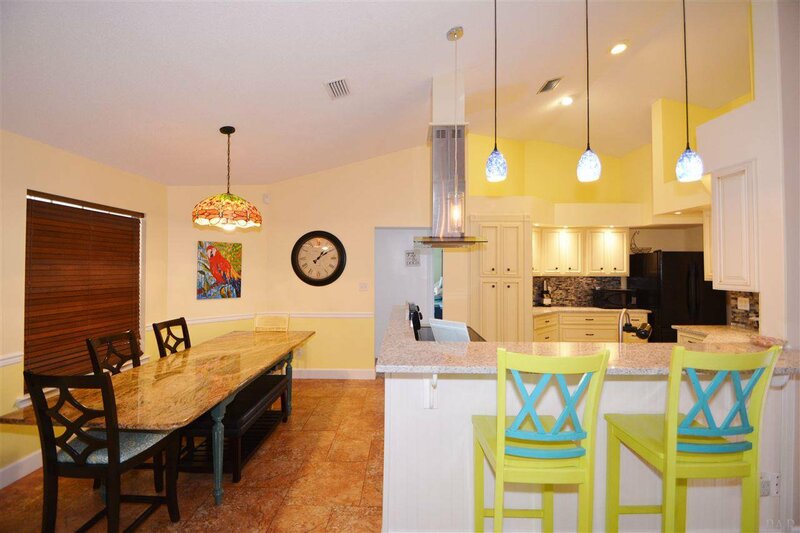 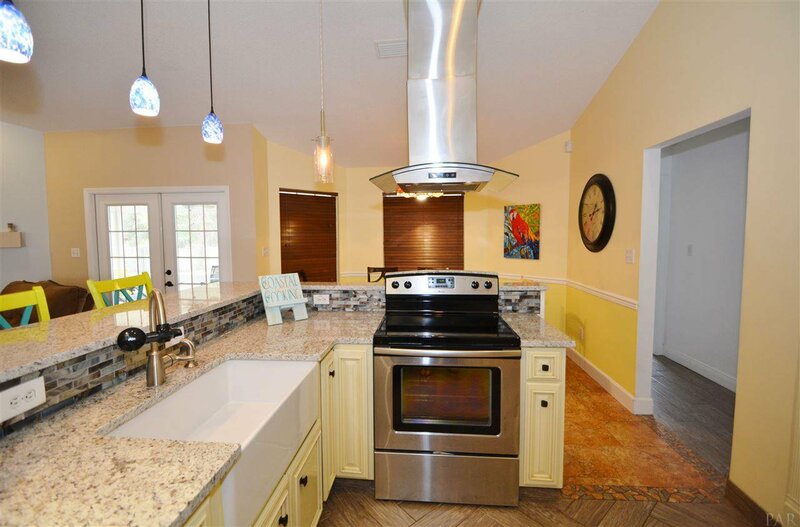 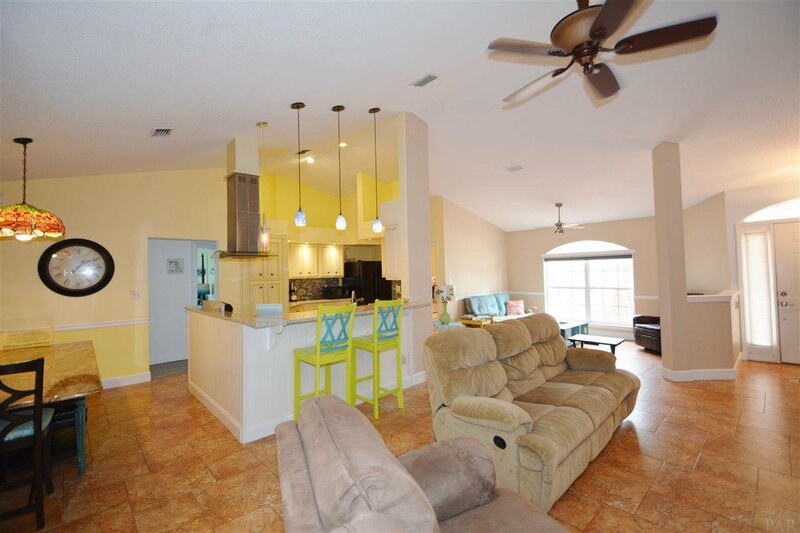 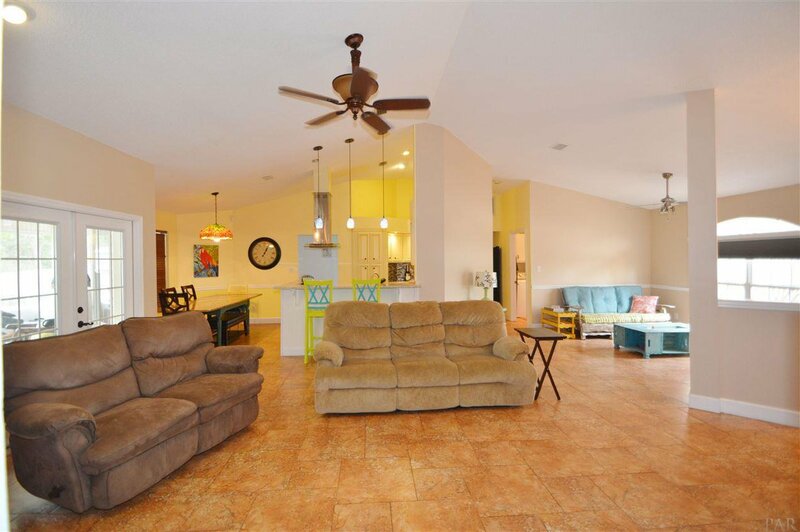 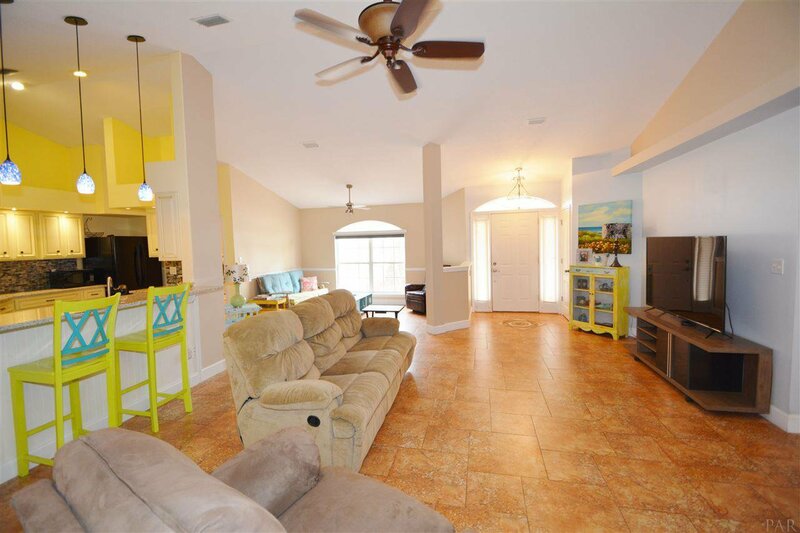 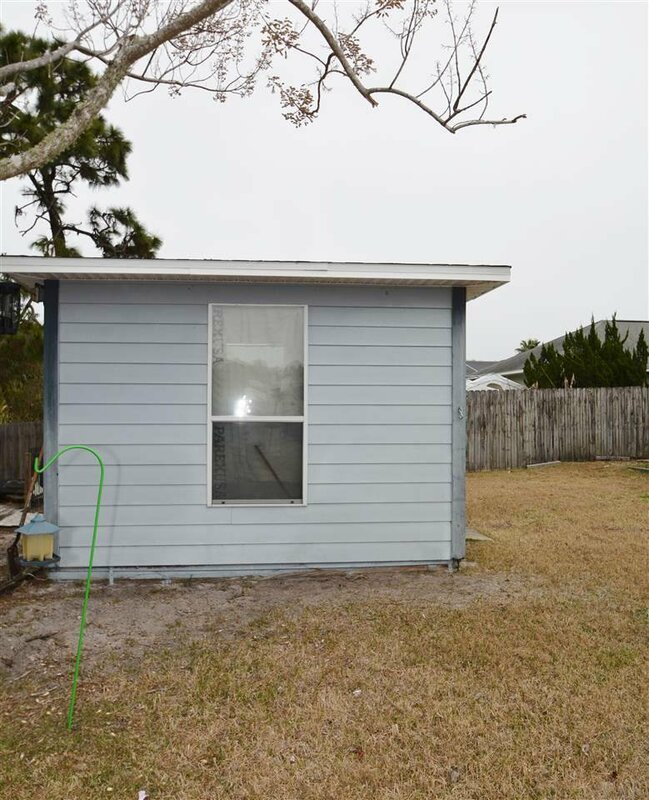 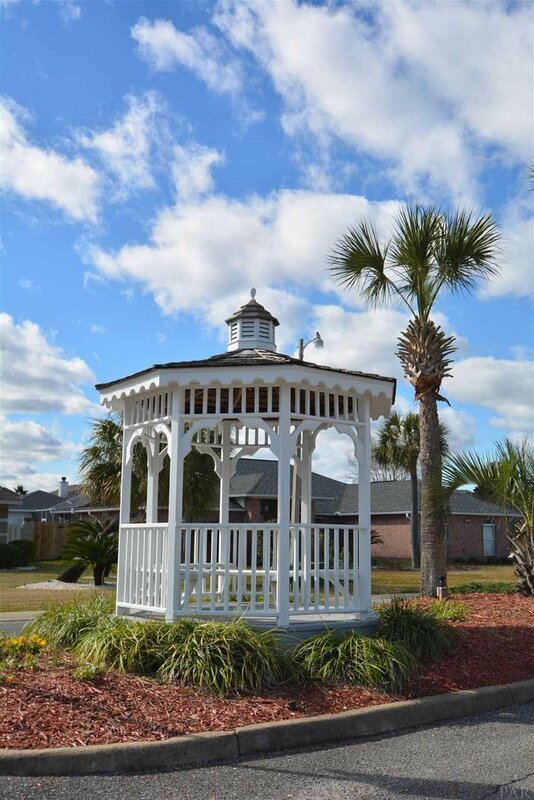 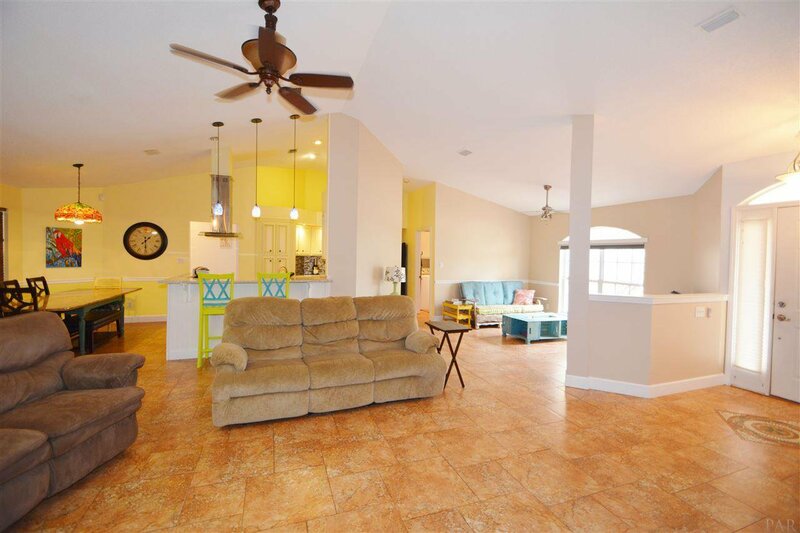 Wonderfully remodeled and kept split-bedroom home in the lake community of Chandelle, close to both NAS and Perdido Key. 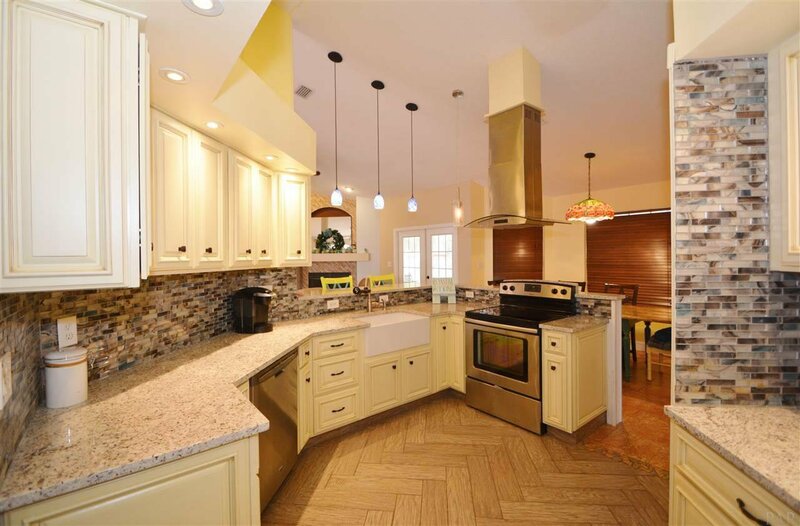 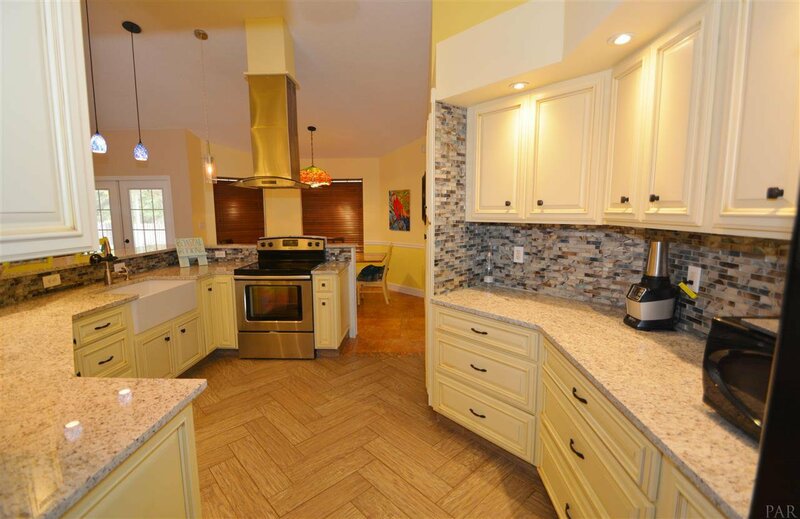 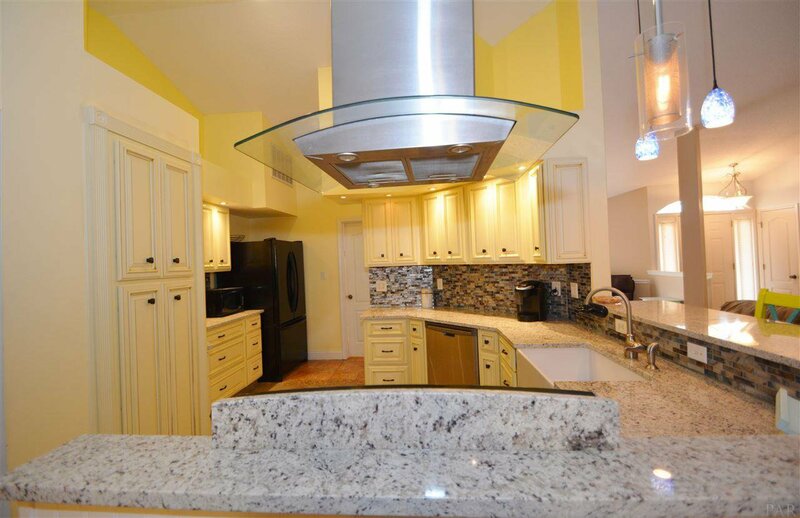 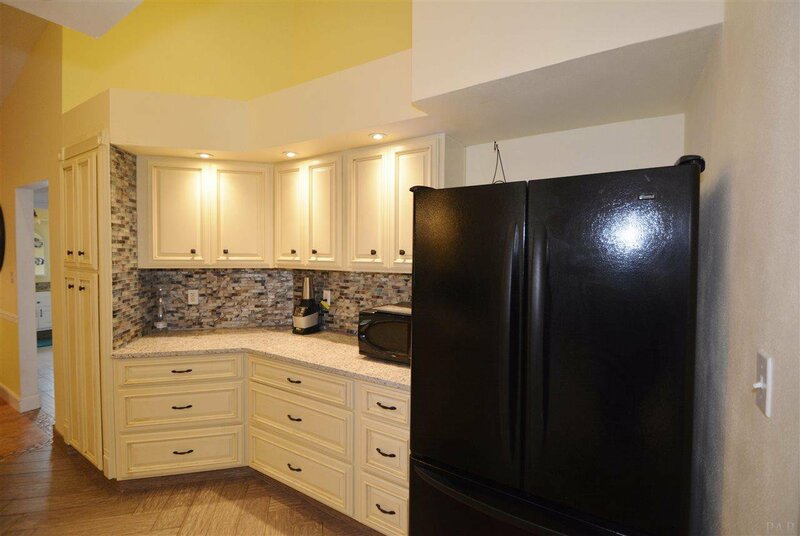 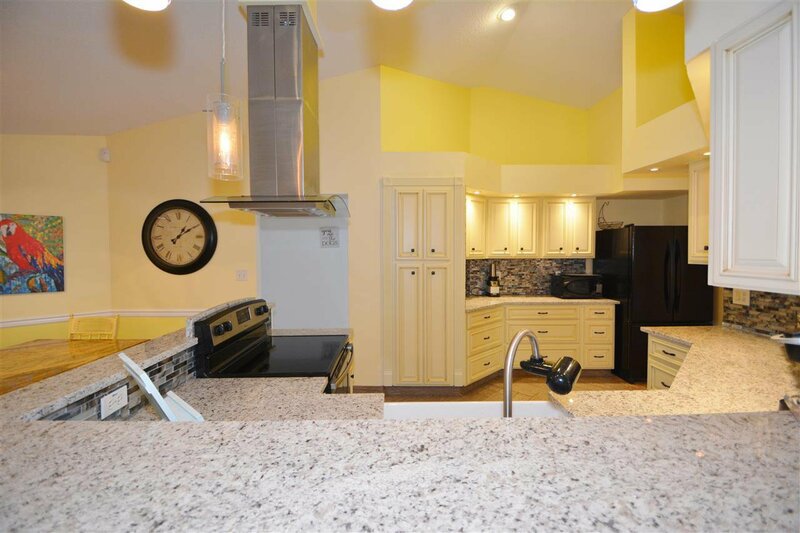 Modern, remodeled kitchen with NEW GRANITE. 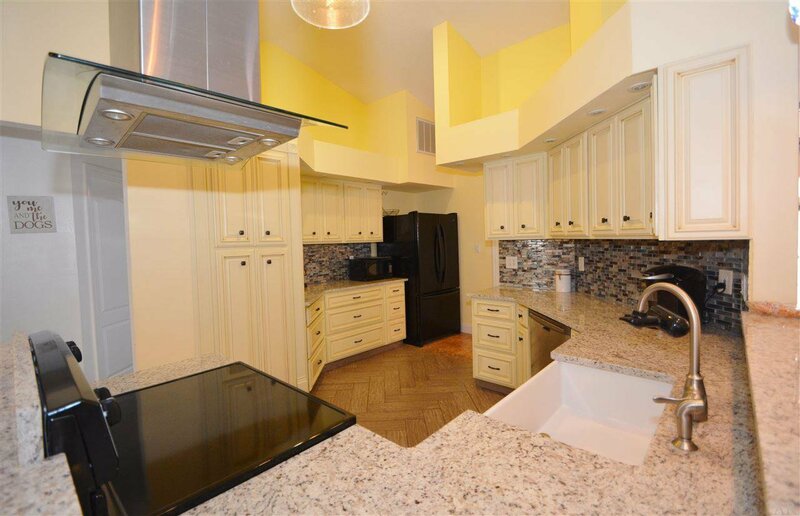 The kitchen features soft-close cabinetry, stainless steel appliances, a giant undermount sink, and a stunning vent hood. 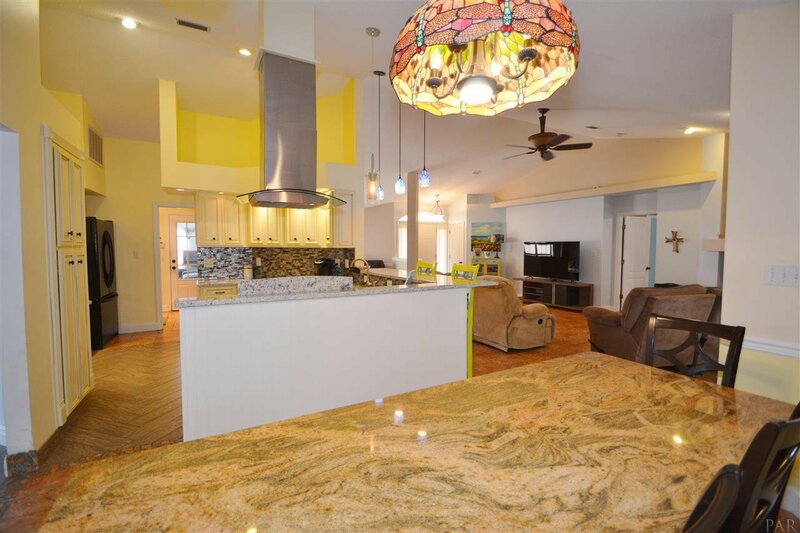 The kitchen opens to the great room with lots of natural lighting. 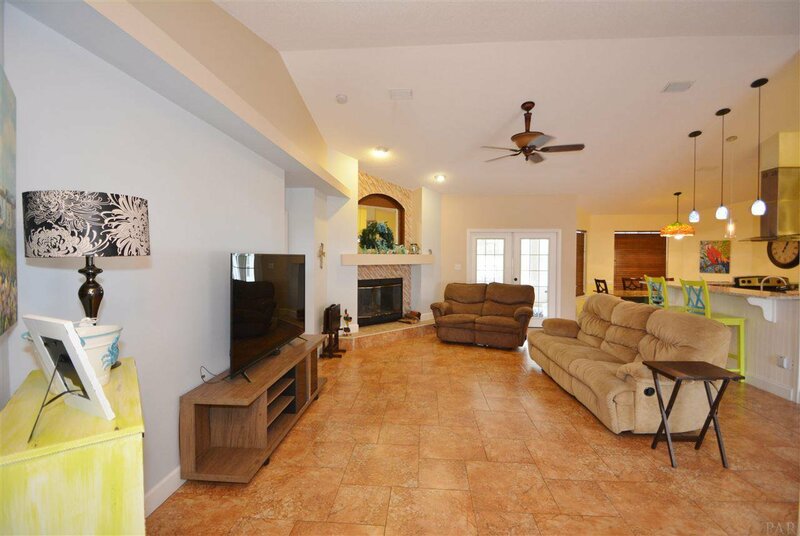 The great room has soaring ceilings, plant ledges, and a wood-burning fireplace. 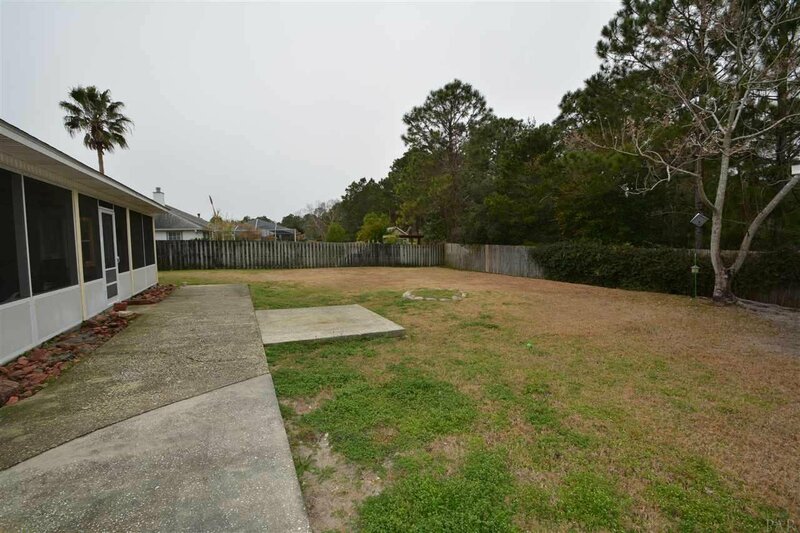 Huge backyard with privacy fence and detached workshop. 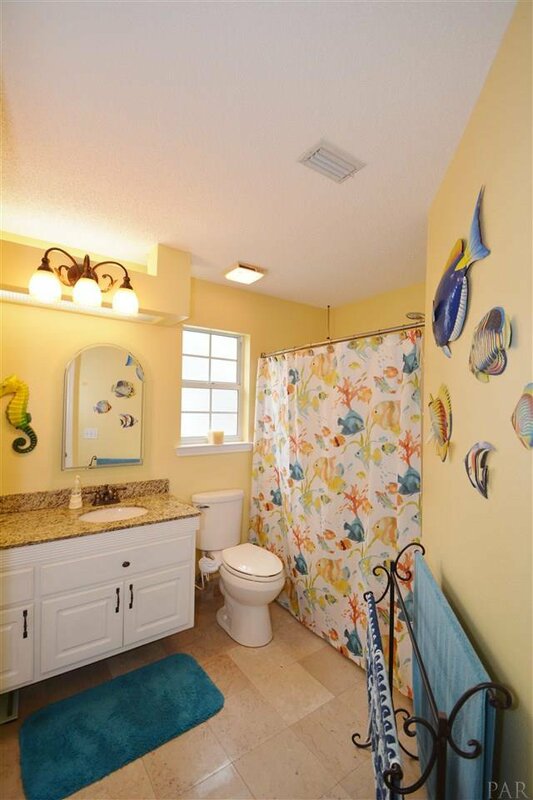 The home is tiled throughout (no carpet). 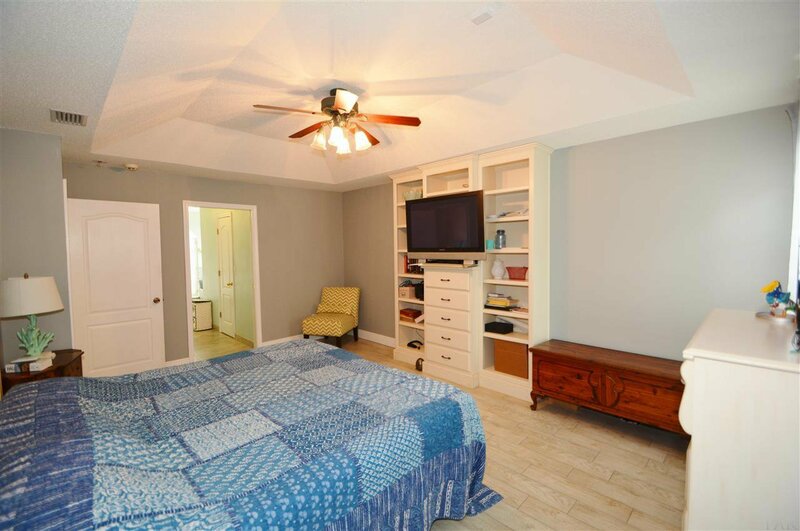 Big master suite, which features a trey ceiling, walk out to the screened lanai, 2 walk-in closets. 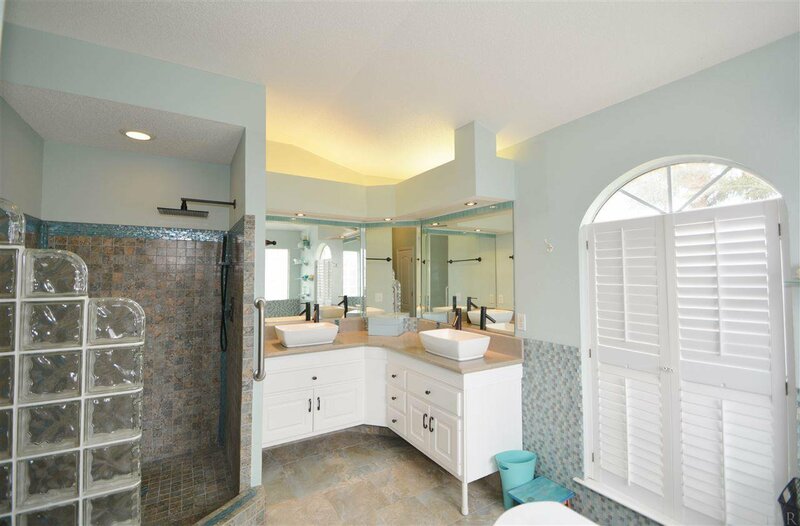 The master bath also is updated and modernized. 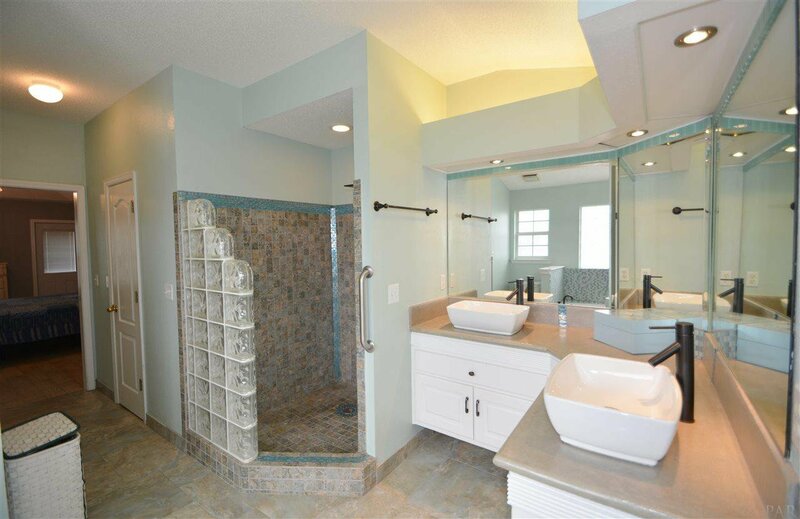 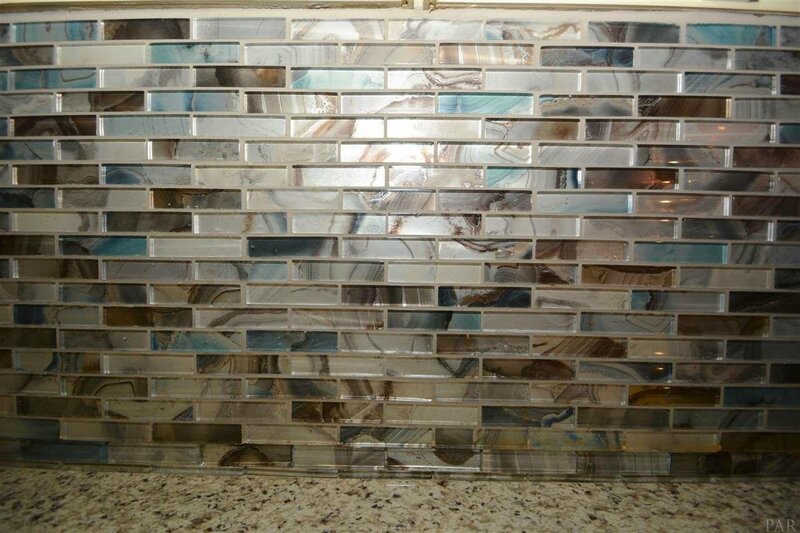 You'll love the separate tiled, glass-block, walk-in shower with an overhead rain showerhead. 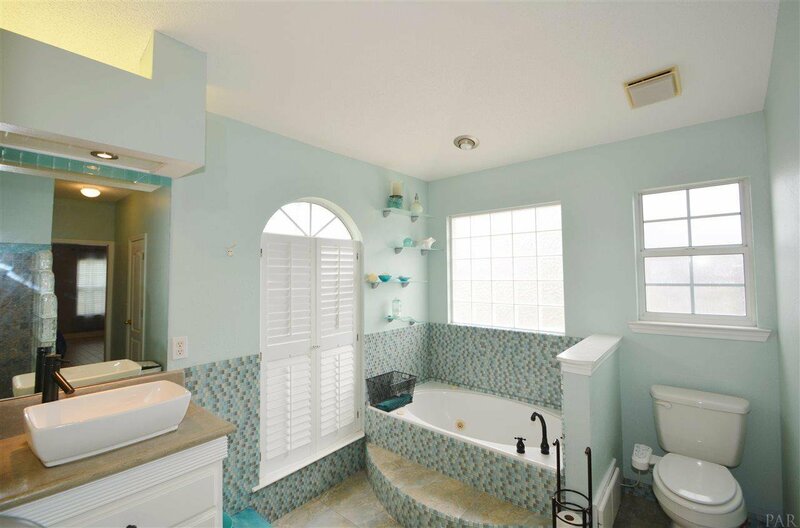 The master includes dual sinks with concrete counter tops, and a step-up jacuzzi tub surrounded by tile. 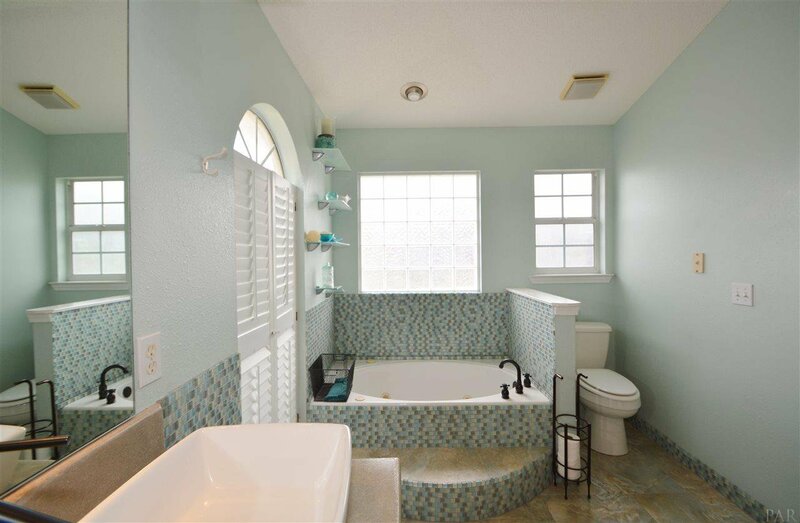 The guest bath is also remodeled and leads to the screened porch. 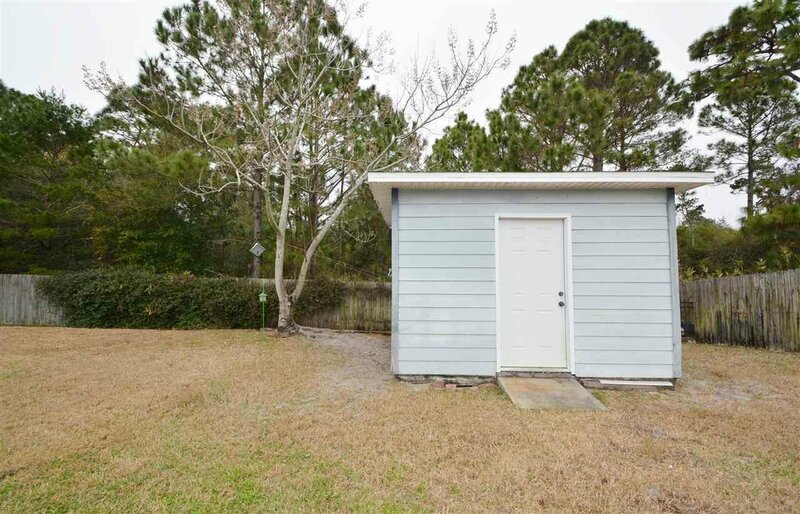 The home's backyard has an RV/parking pad and backs up to a greenbelt and leaves room for a pool if you'd like. 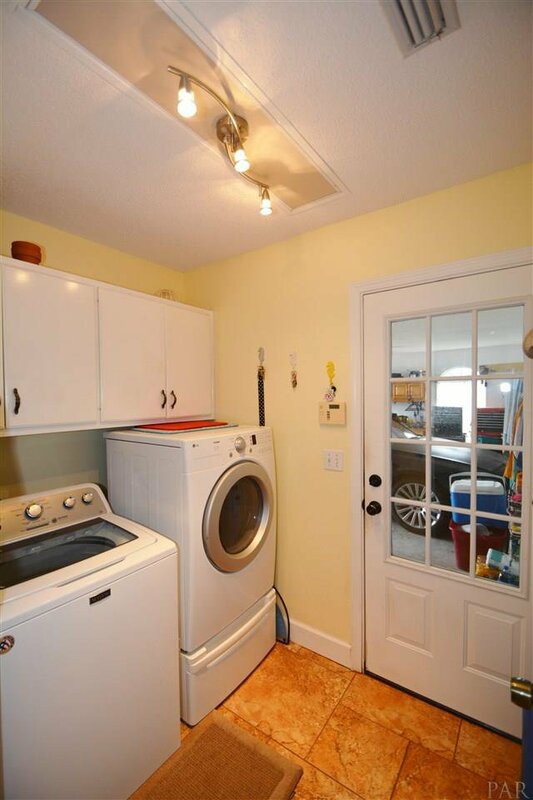 You'll enjoy the workshop, which is finished and heated and cooled.